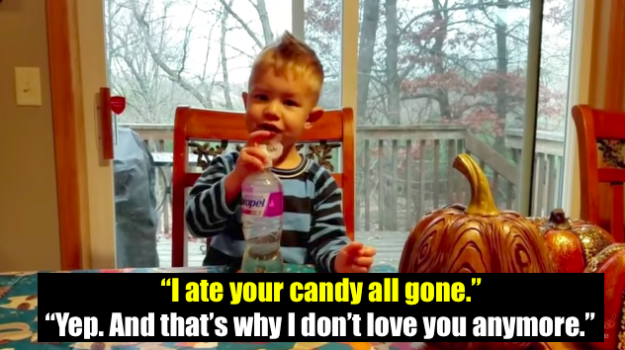 If you didn’t know, for the past seven years, Jimmy Kimmel has been challenging parents to upload videos of them telling their kids they ate all of the Halloween candy. This year, kids were tricked again and we were treated to all of their hilarious emotions. All of the parents start by breaking it to their kids slowly, only for it to escalate from there. But these parents weren’t hated alone, because Kimmel pranked his daughter, too. In conclusion, I think this kiddo speaks for them all. Sorry, kids.